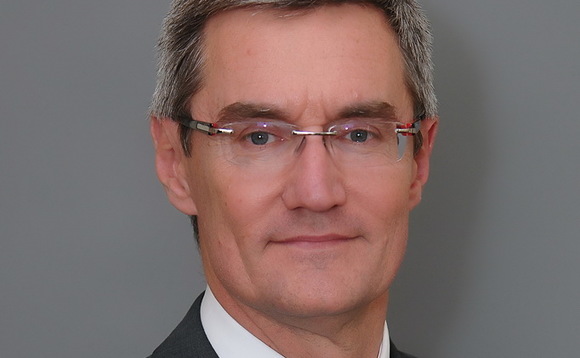 The current economic crisis presents a “historic opportunity...to lay the foundations of rebalanced medium-term growth” says Didier St Georges (pictured) on Carmignac Gestion's investment committee. The current economic crisis presents a “historic opportunity…to lay the foundations of rebalanced medium-term growth” says Didier St Georges (pictured) on Carmignac Gestion’s investment committee. The key to growth, he wrote in Carmignac’s September newsletter, is implementing “extensive structural reforms relaxing employment law, reducing unnecessary public spending, encouraging productive investment and bolstering business competitiveness” in developed markets. Enacting such reforms is most feasible in crisis periods, St Georges argued. He condemned “short-term fixes” such as the Tobin Tax, a European tax on financial transactions recently proposed by French president Nicolas Sarkozy and German chancellor Angela Merkel. “Who would believe that a Tobin tax on capital flows could be an adequate response to the emergency of the situation?” St Georges questioned. Given the extent of corrections over the summer, St Georges noted markets may experience some periods of reprieve in the short term. They could be calmed following strong intervention by the ECB, such as the purchases of huge amounts of Spanish and Italian bonds this summer, or any kind of optimistic announcement (such as mentioning euro bonds) by a European leader, he said. St Georges warned that counting on rallies in developed markets could be “dangerous”. “Trends in the real economy are the proper basis for our investment strategies…we remain defensively positioned for the moment, keeping most of our equity exposure hedged,” he explained. St Georges noted potential opportunities in the emerging world and in equities, government and corporate bonds and currencies. Carmignac Investissement, a global equity fund, was up 2.29% from June until September, and Carmignac Patrimoine, a global balanced fund, gained 4.92% over the same period. Carmignac Gestion has nearly €50bn in assets under management and runs 19 funds with an emphasis on emerging markets and commodities. Its main clients include banks, institutions, independent and financial advisors and private individuals.